Join Daniela on Wednesdays, October 3, 10 & 17 from 2-4pm. $85 plus materials. With Halloween looming, this is just the time for something whimsical – how about this cute little guys? Gnomes! 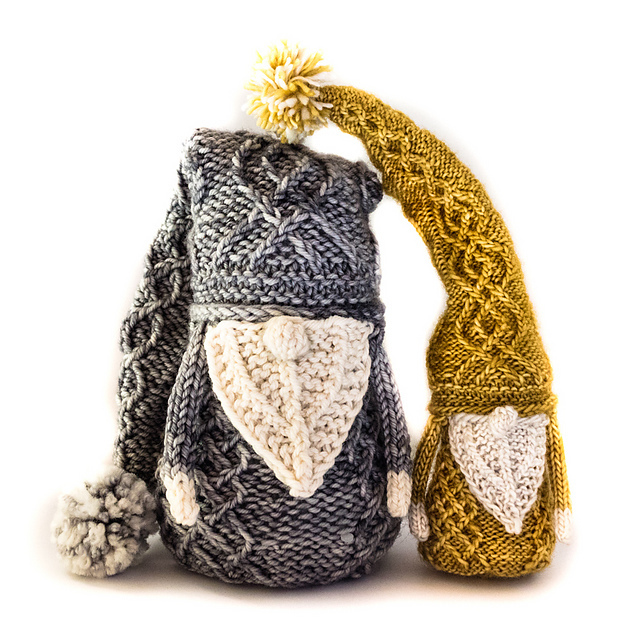 And not just any, these are definitely not your garden variety gnomes: Gorgeous twisted stitch cables trace elegant patterns all over the hat and body, and they have extra nubby noses. There are a number of tricks to keep the sewing to a minimum, including a special nose technique, so don’t be shy and take your fall decorations to a new level!